Motorcycles may soon be required to run with their headlights on all the time. This is the prime directive of House Bill 1318 which was approved by the House Committee on Transportation led by Catanduanes Rep. Cesar Sarmiento. HB 1318, called the "Mandatory Automatic Headlights On for Motorcycles Act," and authored by Buhay Party-List Rep. Mariano Michael Velarde Jr., requires motorcycle riders to turn on their bike’s headlights once they start the engine. The headlights must remain on when the motorcycle is running, either during the day or night for increased visibility. Besides requiring riders to turn on their lights, motorcycle manufacturers, assemblers and distributors are also required to install an "automatic headlights on" system, mechanism or device as standard before a motorcycle unit is distributed and sold. As such, it goes without saying that every motorcycle should be equipped with one to two working headlights. The bill goes into detail stating the headlights' intensity must be sufficient enough to reveal a person or a vehicle at any distance of not less than 30.5 meters when the motorcycle is operated at any speed less than 40.225 kilometers per hour, and at any distance of not less than 61 meters when operated at a speed of 40.225 to 56.315 kilometers per hour, and a distance of 91.5 meters when operated at a speed greater than 56.315 kilometers per hour. 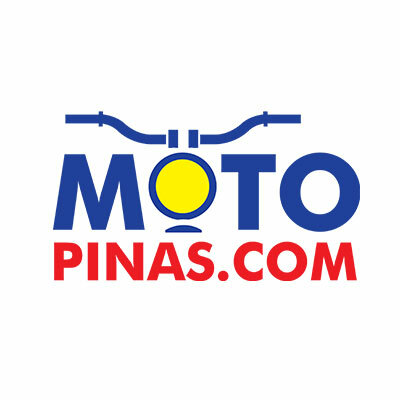 The Land Transportation Office will be mandated to impose fines against drivers, operators and owners of motorcycles, as well as the manufacturers, assemblers, importers and/or distributors who violate the provisions of the proposed act. For drivers, operators and owners, the fines will be P1,000 to P2,000 for the first offense; P2,500 to P3,000 for the second offense; and P3,500 to P5,000 and suspension of driver's license for a period of one month for the third and succeeding offenses. For manufacturers, assemblers, importers and/or distributors, the fines will be: P5,000 to P10,000 and suspension of license to operate for a period of one year for the first offense; P10,000 to P20,000 and suspension of license to operate for a period of two years for the second offense; and P50,000 and suspension of license to operate for a period of five years for the third offense. The panel was informed by MMDA’s Head Road Safety Unit, helmed by engineer Emilio Llavor, that there some 178 motorcycle riders have died and 7,905 were injured in different road accidents last year. There were also 37 passengers killed and 2,292 injured, and 32 pedestrians killed and 1,185 injured. The measure, which will increase visibility for motorcycles, is hoped to curb the amount of accidents. India now requires ABS on all new bikes above 125 cc and CBS for those blow 125 cc.